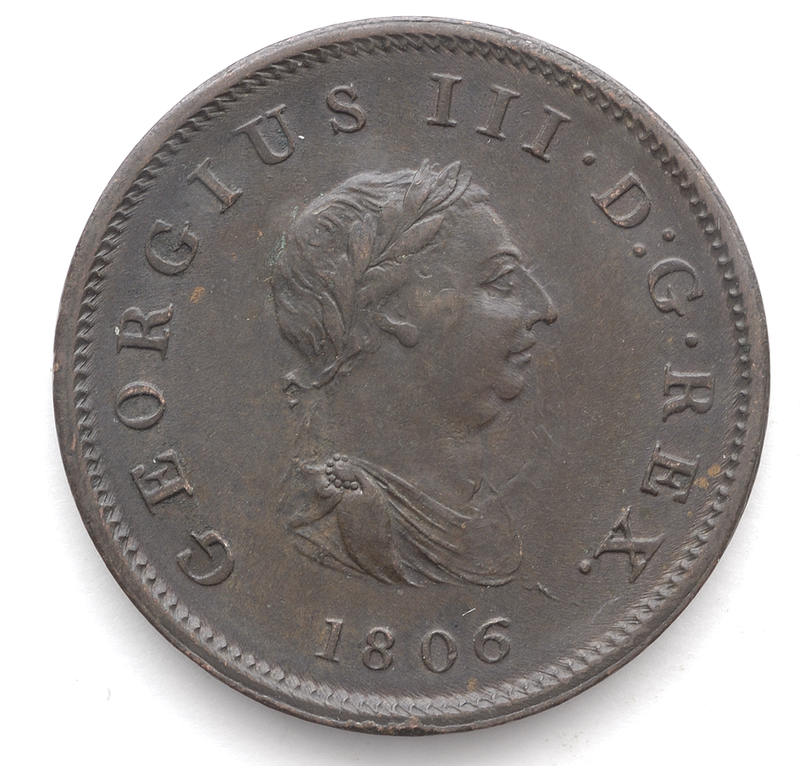 Contracted by the Royal Mint, these heavy copper coins were issued for just one year. The shortage of small change was giving the country big problems at the time. The obverse show a right face bust of George III and the reverse of left facing Britannia holding the spray and spear.